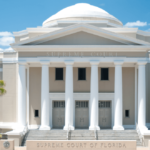 In addition to deciding cases, the Florida Supreme Court has the responsibility of adopting procedural rules for court proceedings; but the Court does not directly promulgate rules of evidence. 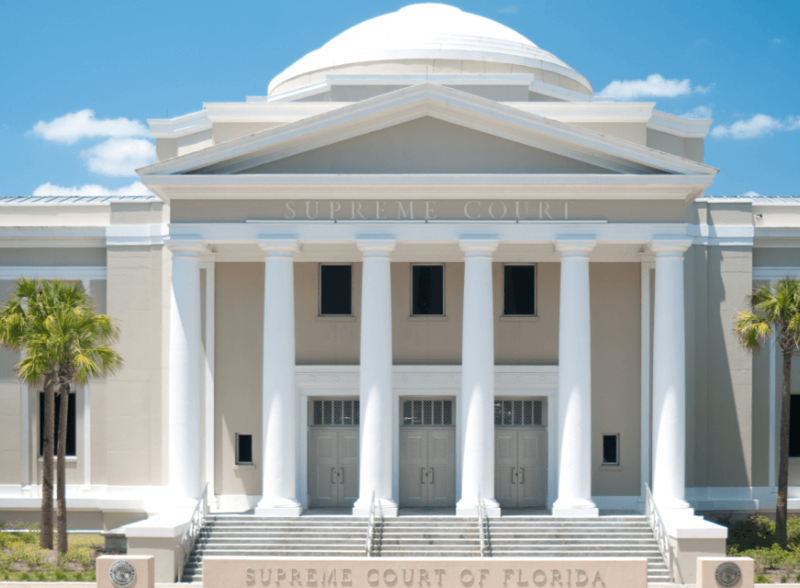 The Legislature has enacted the Florida Evidence Code in chapter 90 of the Florida Statutes, and the Supreme Court usually adopts the legislative amendments to the extent they are procedural. The Court recently declined, however, to adopt certain procedural amendments to the Florida Evidence Code, including a change to the standard of admissibility for scientific expert evidence. In re Amendments to the Fla. Evidence Code, Case No. SC16-181, 42 Fla. L. Weekly S 179 (Fla. Feb. 16, 2017). Until 2013, sections 90.702 and 90.704 of the Florida Evidence Code reflected the Frye standard for expert testimony based upon new or novel scientific evidence, derived from Frye v. United States, 293 F. 1013, 1014 (D.C. Cir. 1923) (when expert testimony is deduced from a scientific principle or discovery, the principle or discovery “must be sufficiently established to have gained general acceptance in the particular field in which it belongs”). Meanwhile, in the federal court system in 1975, Rule 702 of the Federal Rules of Evidence did not incorporate Frye’s “general acceptance” test but rather reflected a reliability standard where the judge “must ensure that any and all scientific testimony or evidence admitted is not only relevant, but reliable.” Daubert v. Merrell Dow Pharmaceuticals, Inc., 509 U.S. 579, 589 (1993). Federal Rule 702 was amended in 2000 and 2011 to codify the Daubert standard of relevancy and reliability. In addition to the federal court system, the majority of states have also adopted the Daubert standard. The Florida Legislature followed that trend in 2013 by amending sections 90.702 and 90.704 of the Florida Evidence Code to replace the Frye standard with the Daubert standard. Under the Daubert Amendment, “the trial courts must act as gatekeepers, excluding evidence unless is it reliable and relevant.” Crane Co. v. Delisle, 206 So. 3d 94, 101 (Fla. 4th DCA 2016) (citations and internal quotes omitted). The judge “should affirmatively prevent imprecise, untested scientific opinion from being admitted. The expert must explain his or her methodology and how it is applied to the data relevant to the case. Further, when relying on other studies, the expert must identify those studies and explain how they support the application of the methodology used.” Id. at 103. 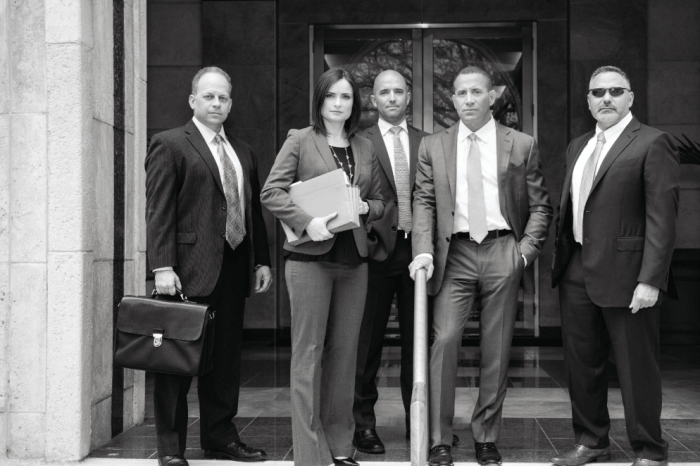 Although the Florida Supreme Court generally adopts amendments to the evidence code to the extent they are procedural, the code and rules of evidence committee of The Florida Bar recommended that the Court should decline to adopt the Daubert Amendment due to “grave constitutional concerns” such as a concern that it could undermine the right to a jury trial and deny access to the courts, such as by excessively rejecting or excluding expert opinions. Due to those concerns, the Supreme Court declined to adopt the Daubert Amendment in its opinion Feb. 16, 2017. The Court did not actually declare sections 90.702 and 90.704 unconstitutional; it only declined to adopt the Daubert Amendment “due to the constitutional concerns raised, which must be left [to be determined within] a proper case or controversy” because the Court does not determine constitutionality in the context of rules cases. 42 Fla. L. Weekly S 179 at *21. The dissenting opinion suggested that the constitutional concerns are unfounded: “Has the entire federal court system for the last 23 years as well as 36 states denied parties’ rights to a jury trial and access to courts?” Id. at *28. Three months earlier, in November 2016, the Fourth District noted that “statutes are presumed to be constitutional and are to be given effect until declared otherwise,” and “we, and other Florida appellate courts, have applied the [Daubert] statute.” The Fourth DCA rejected the argument “that this court lacks the authority to apply Daubert … because it … has not yet been approved by the Florida Supreme Court.” Crane Co., 206 So. 3d at 100 n.7. The Third District has applied Daubert since 2014, noting in a negligence case that the Supreme Court had already amended the Rules of Juvenile Procedure to eliminate the Frye test and apply Daubert. Perez v. Bell S. Telecomms., Inc., 138 So. 3d 492, 498 n.12 (Fla. 3d DCA 2014). The First, Second, and Fift h Districts have also applied Daubert. See, e.g., Baan v. Columbia County, 180 So. 3d 1127, 1132 n.8 (Fla. 1st DCA 2015); Baricko v. Barnett Transp., Inc., 42 Fla. L. Weekly D174 *2 (Fla. 1st DCA Jan. 17, 2017) (Wetherell, J., concurring); R.C. v. State, 192 So. 3d 606, 609 n.2 (Fla. 2d DCA 2016); Churchill v. State, 169 So. 3d 1260, 1260 n.1 (Fla. 5th DCA 2015).